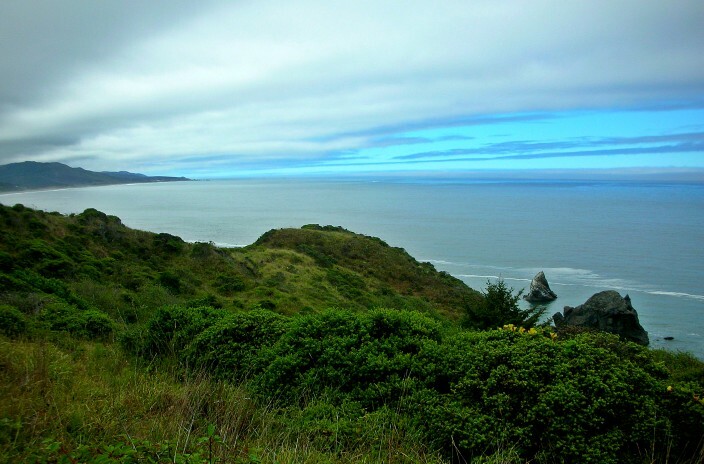 If you want to see the Pacific Coast of the USA, and if you plan on driving to do this, there’s only way to do it right and that is by driving U.S. Highway 101. 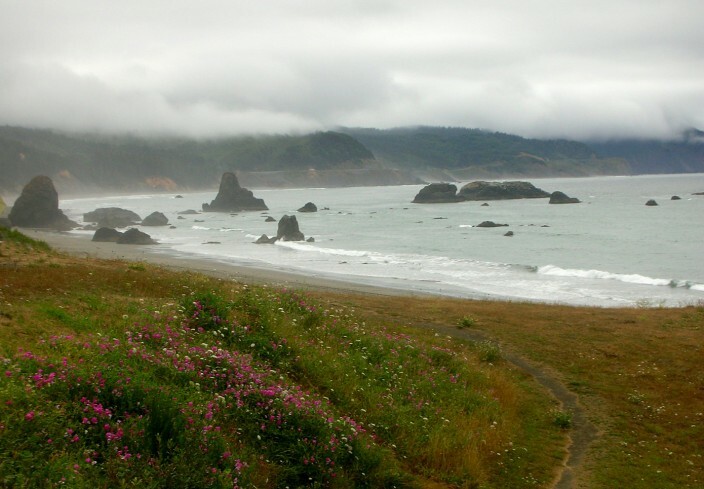 Highway 101 is, to my mind, the Route 66 of the west coast. 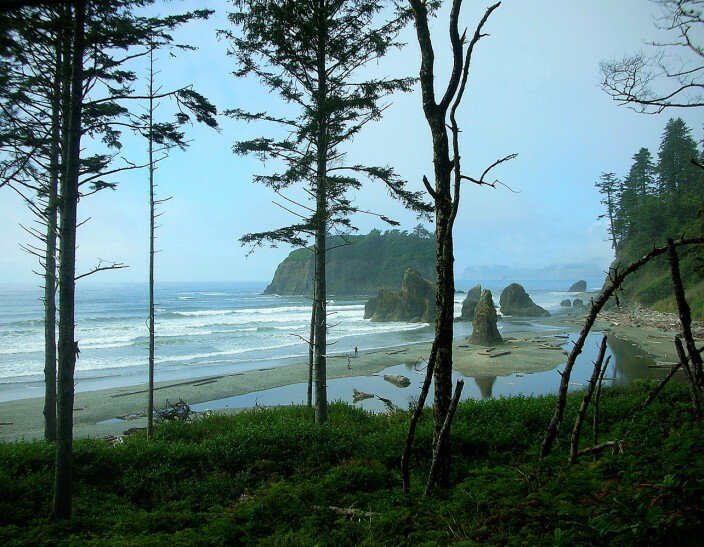 Starting from Olympia, the state capital of Washington, circuiting the Olympic peninsula and then rambling south all the way to Los Angeles, it probably features more miles of stunning scenery than any other highway in the USA. 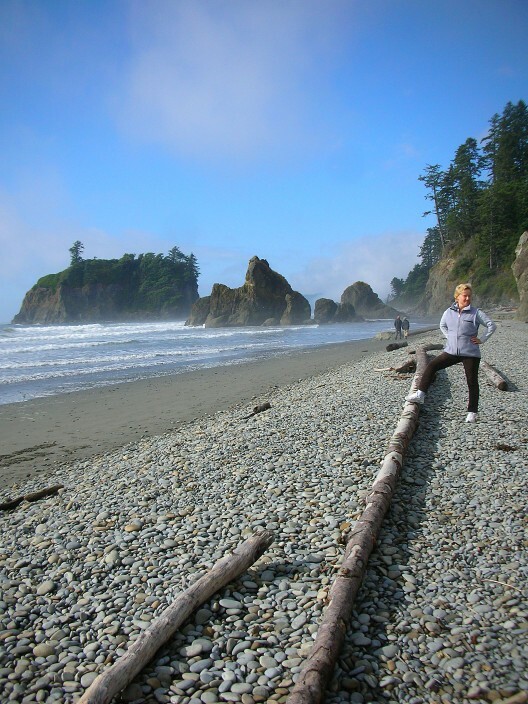 We recently decided to “do the 101” in this manner, or the northern half at least, in the states of Washington and Oregon. 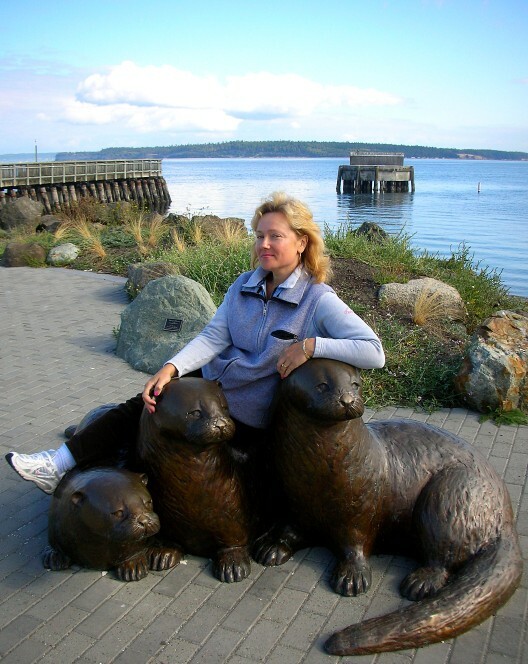 Our first port of call was the lovely town of Port Townsend, Wa. 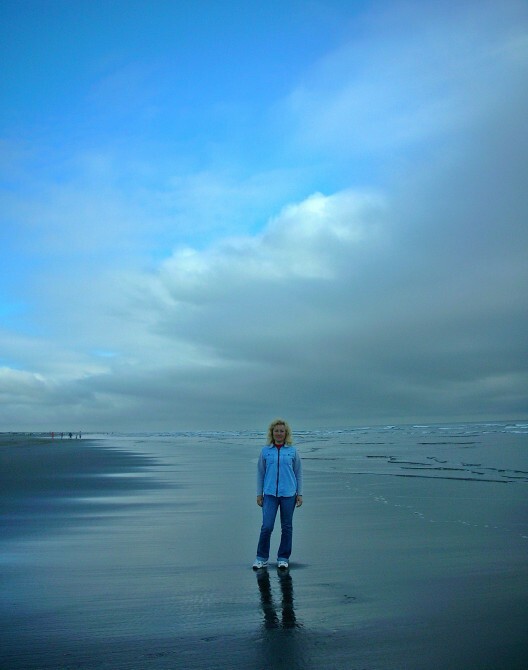 at the northeastern point of the Olympic peninsula. It’s a little touristy but features some great Victorian style architecture and many interesting shops along main street if you enjoy that sort of thing. 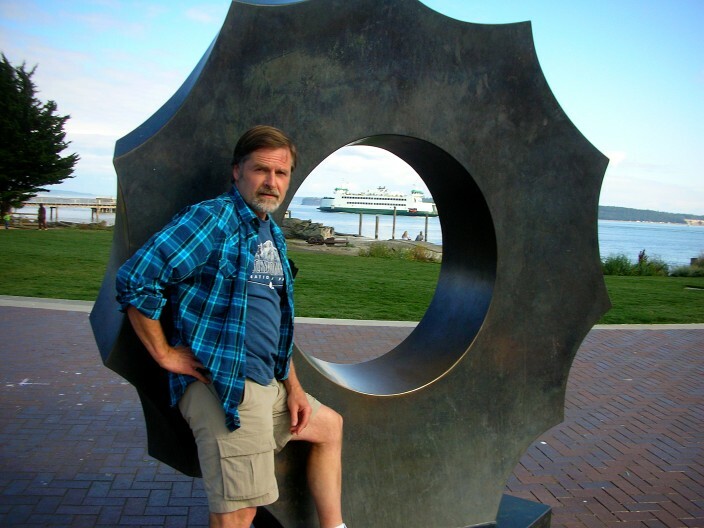 We spent a couple of hours ambling around town and then headed west for Port Angeles, gateway to Olympic National Park and the famed Hurricane Ridge area. But if there’s one thing you cannot count on in this part of the world, it’s cooperation from the weather. We could already tell from sea level at Port Angeles that the mountainous interior looked cloudy, but decided to take a chance anyway. As we drove the swervy, snaky road leading steadily upward into the Olympic Mountains, we not only found the clouds, we ascended right into them. 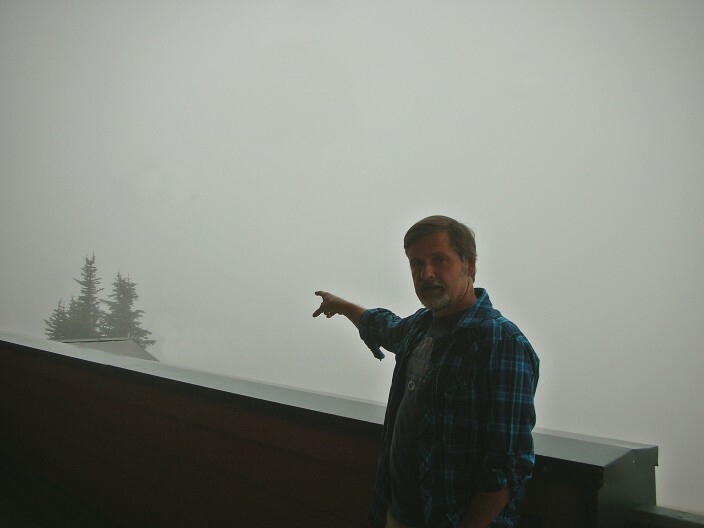 Temperature and visibility dropped like mad and by the time we arrived at the Hurricane Ridge visitor center, we were enveloped in a sea of swirling gray clouds, biting winds, low 40’s temps and sideways rain. Not the loveliest day for a stroll along the ridge, which features spacious views deep into the heart of the rugged Olympic range. But not on that day. So we hung out in the visitor center and looked at postcards of what we weren’t seeing outside. I’d been there several times before, but my wife had not, so it was a bigger disappointment for her than me. This can be a common theme in Washington, the land of clouds and rain, but as we often say with a sigh, all that precip is what keeps Washington green. We moved on and drove the 101 west and then south into the town of Forks, now famous as the setting of the wildly popular “Twilight” novels and films. 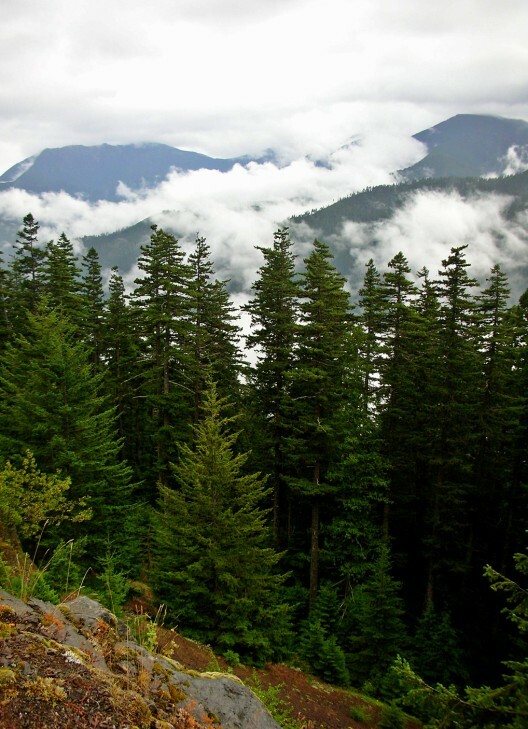 It’s a logging town and always has been, but the timber industry has seen better days and now Forks is an economically depressed and bedraggled small town where the endless rains – over 100 inches and 200+ days of measurable precipitation per year! – can become a genuine downer. Unless you’re a huge “Twilight” fan (I’m not a teenage girl, so I’m not) there really isn’t a whole lot to recommend in Forks. We blew through and headed south. 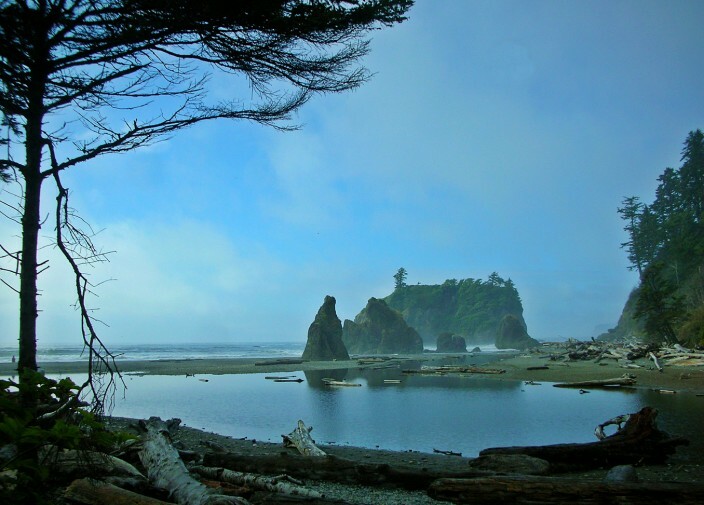 As we drove, the rain stopped and the sun actually made one of it’s rare appearances in this corner of the country, just in time for us to make a stop at Ruby Beach. 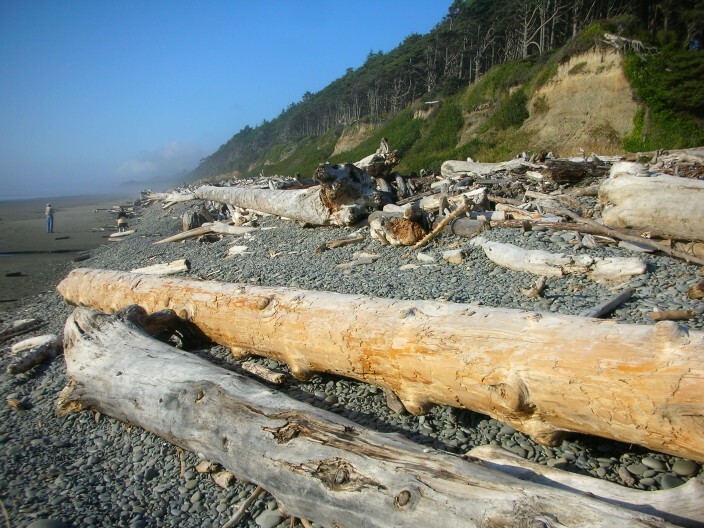 If it’s beachcombing, rock collecting and driftwood you’re after, it’s hard to beat Ruby Beach, located 27 miles south of Forks on Highway 101. 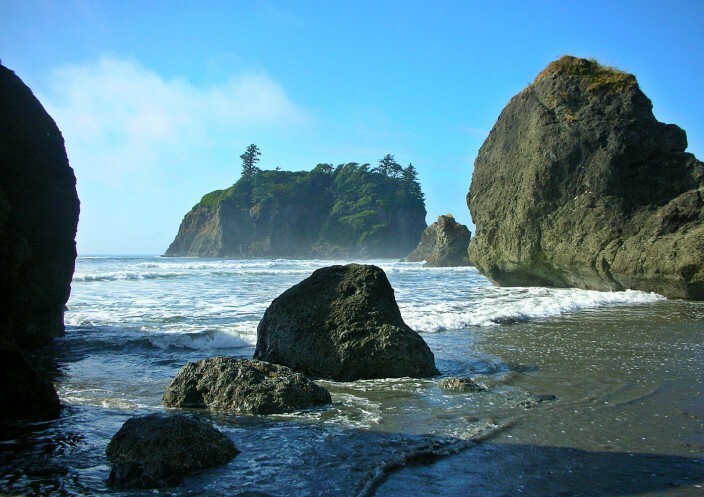 Ruby Beach is part of a slender finger of Olympic National Park that reaches out to the Pacific and features tons of driftwood and picturesque sea stacks. 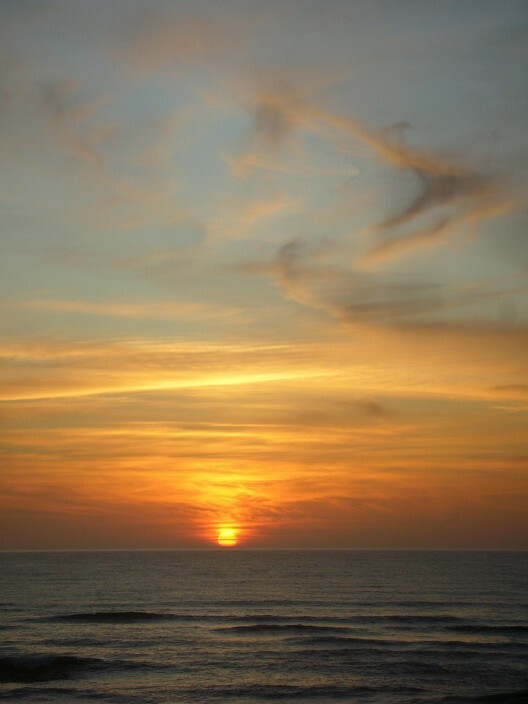 A late afternoon stroll along the rocks and sand, followed by a sunset, is a perfect way to finish a day on the coast. 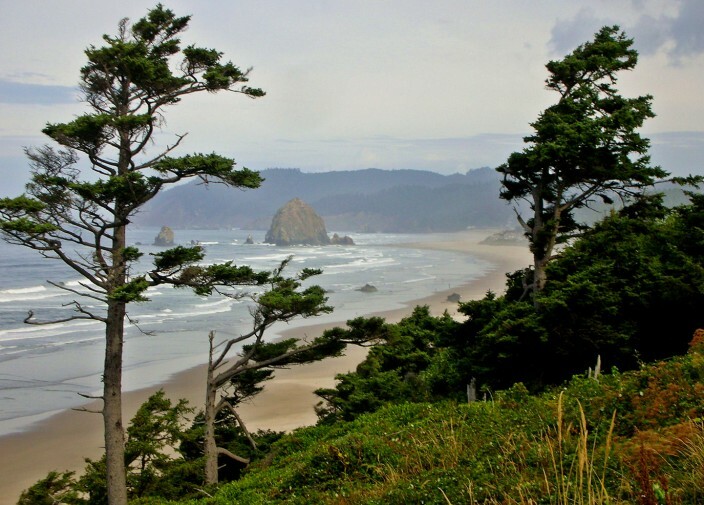 The Pacific Coast of Washington and Oregon is many things: rugged, scenic, wild and windswept, encompassing areas of remote solitude and rocky grandeur, funky fishing villages, tourist traps, miles of unoccupied beaches and old lighthouses. 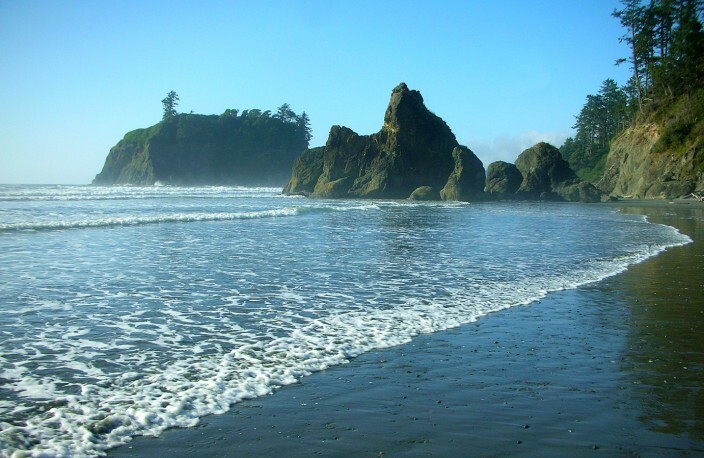 But there is one thing you will not find anywhere along the entire hundreds of miles of Pacific Northwest coastline: warm water for swimming. 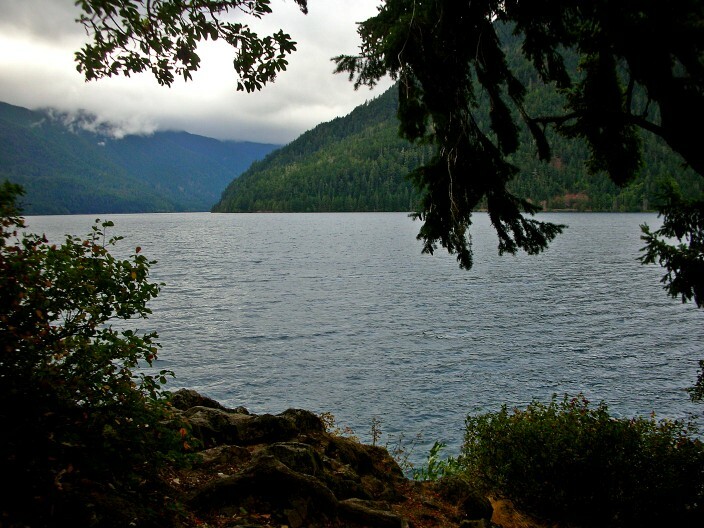 Oh, you can swim, of course, but unless you’re a polar bear or own a full dry suit, don’t expect to spend more than a few minutes immersed in these frigid waters without risking hypothermia. Even in the middle of summer, the ocean temperature in this part of the world ticks upward only a degree or two. This is due to the ocean currents simply not sweeping that warm tropical water this far north, and also because the average air temperature along the coast tops out only in the 70’s, and that’s on a good day. In any season of the year, whether it rains or not, fog and low clouds will often obscure the sun for the majority of the day, the end result being that you can count the number of days with temps above 80F with two hands, no toes needed. So, if snorkeling and bath water are all you’re looking for, don’t come here. But that small caveat aside, you can have a blast doing just about any other activity you want. 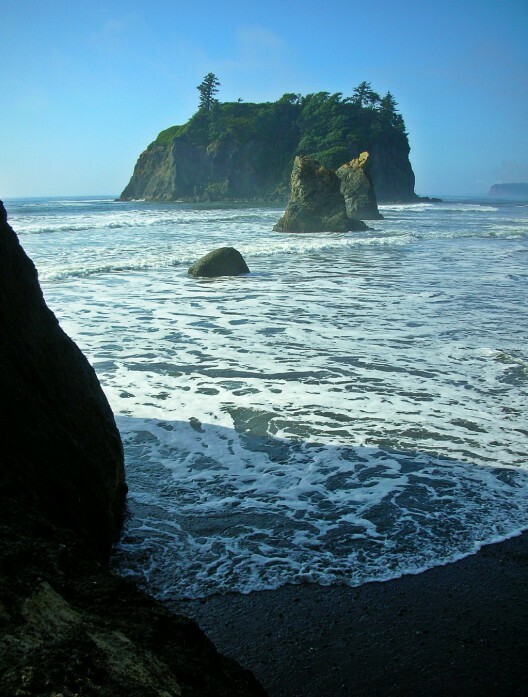 A little further south from Ruby Beach you can take a slight detour west off 101 and follow 109 around the Quinalt Indian reservation out to a string of small villages right on the shoreline which include Moclips, Pacific Beach, Copalis Beach, and Ocean City. All of them are unremarkable in one sense, but all share the same indefinable aura of the ocean, the sand, and that magical pull of time and tides, of standing in the constant breeze and breathing the tangy, saltwater-tinged air, of staring across the endlessly breaking waves and knowing there’s nothing but open water in that direction for the next five thousand miles. 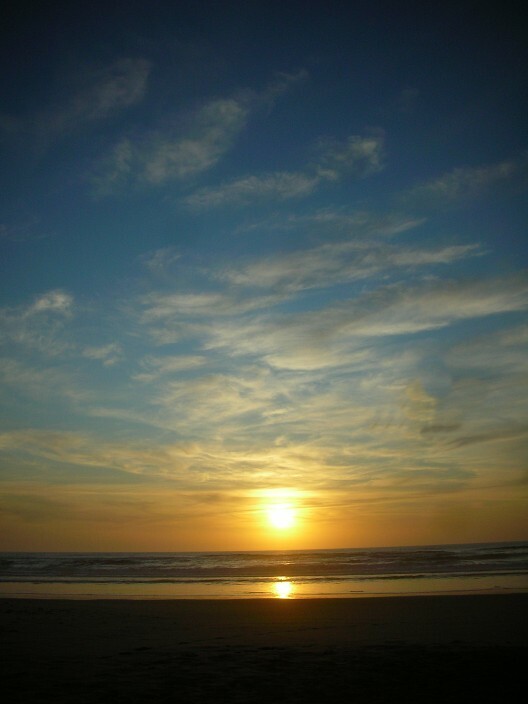 Some of my favorite times at the coast have come while staying at a friend’s beach house at Moclips. Summer is great, but there’s also something special about being there in winter and having a wild Pacific storm roll in and slam the area, hearing the keening high winds and feeling the house rock and groan under the assault while rain pounds the windows until you think they might shatter. If you’re feeling really brave (or is it stupid?) you can bundle up and go for a hike down the beach and feel the sand blasting your skin like ten thousand pinpricks at once. It’s fun in a weird sort of way, if you don’t mind picking grit out of your teeth and every crevice of your body for the next week. 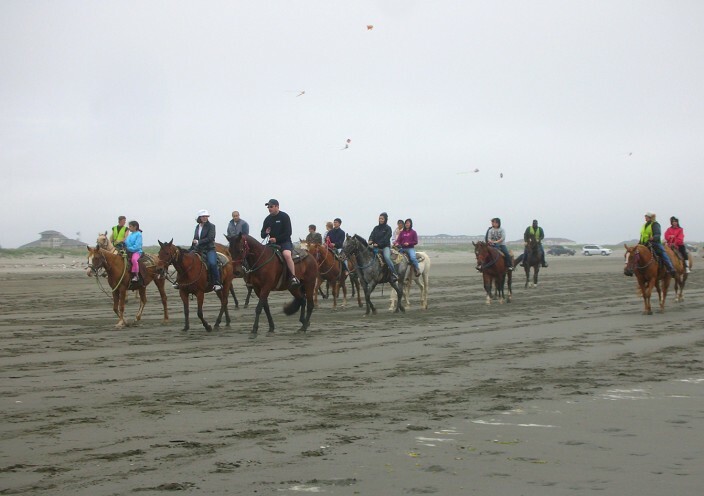 On the north side of Grays Harbor you can check out Ocean Shores and its miles and miles of driveable beach, hire a horse and go for a ride, toss a frisbee with your friends, build a bonfire, or just wander the sands to your hearts content. 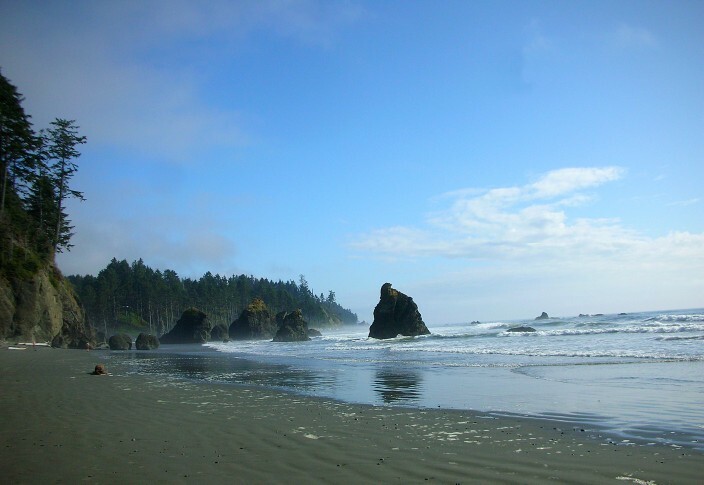 From there you head east to the Aberdeen-Hoquiam area, famed as the birthplace and home of grunge icon Kurt Cobain. Local joke: Why did Kurt Cobain commit suicide? Hey, if you grew up in Aberdeen, you’d be suicidal too. Okay, that’s a little harsh, but honestly, if you don’t live there and are not a die-hard Nirvana fan, there’s no reason to come. 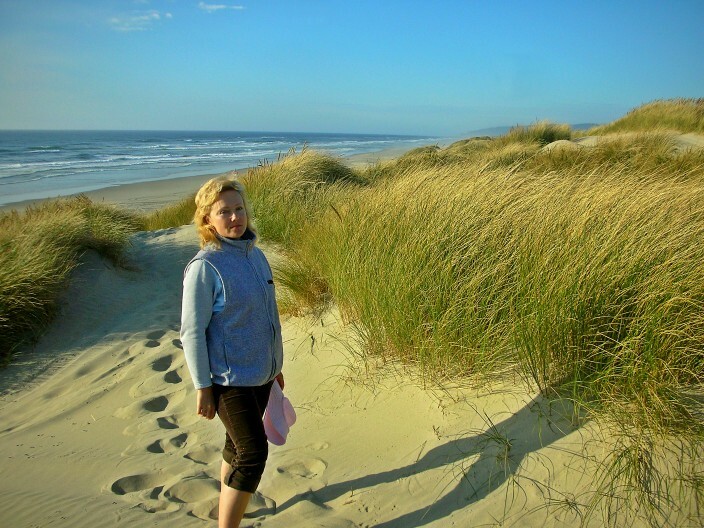 Further south, if you like kites, Long Beach, Wa. is home to one of the west coast’s biggest and best kite festivals every August, as well as boasting the USA’s only kite musem, the World Kite Museum and Hall of Fame, which contains over 1,500 kites from 26 countries. 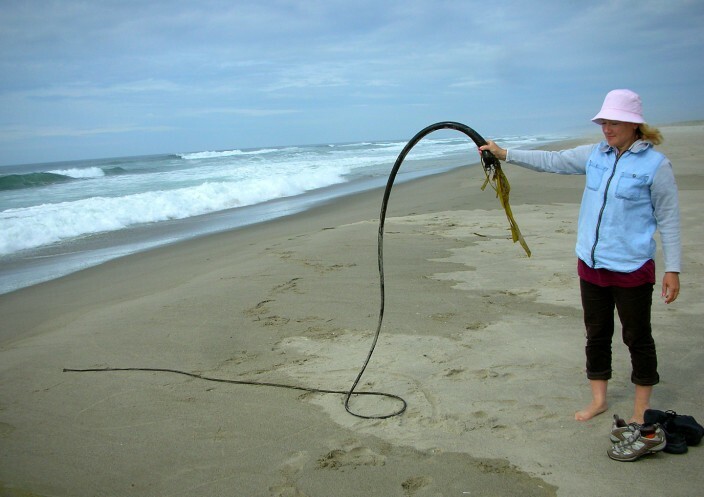 Long Beach also happens to be the USA’s longest unbroken stretch of ocean beach, over 28 miles of it! They also put on a great sand sculpting festival for three days every July. 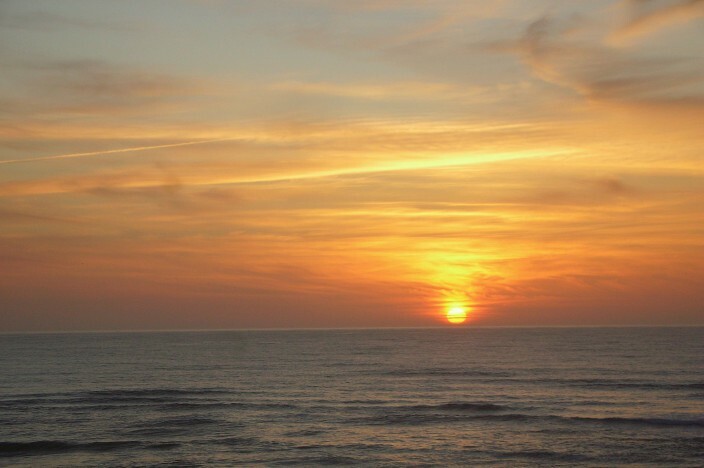 Just a few miles from Long Beach, the fishing town of Ilwaco anchors the southwestern corner of the state, and from there it’s a short drive to the Astoria-Megler bridge spanning the Columbia River. The bridge is 4.1 miles long and is the longest continuous truss bridge in North America. Once you’ve crossed into Astoria, Oregon, things don’t change all that much except that now you can’t pump your own gas. What a strange law it is. For the next several hundred miles, 101 parallels the coast, hugging it almost exclusively other than the occasional short detour inland. The town of Seaside comes up first and is either a tourist delight or the most annoying, tacky commercial trap you’ve ever seen, with more knick-knacks, tchotchkes, doodads and t-shirts for sale in one mile than possibly anywhere on earth. But most people don’t come here for the souvenir stands, they come for the miles and miles of endless scenic beauty. 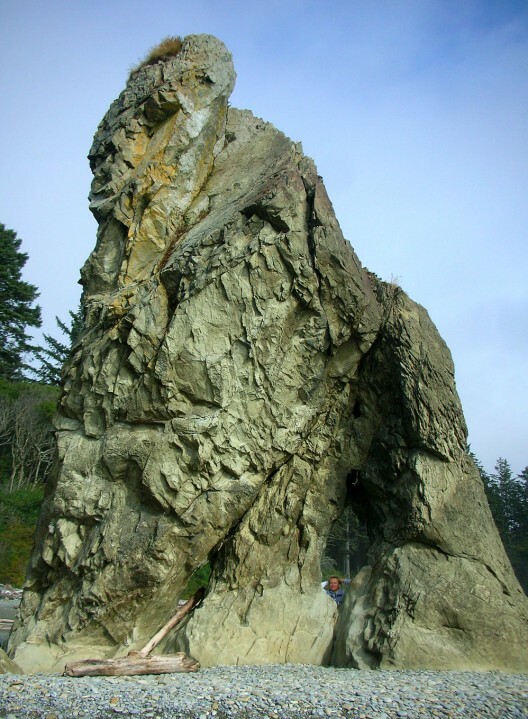 Seastacks abound at the many turnouts along the road, starting in Cannon Beach in the north and continuing nearly all the way to the California border. As we drove I tried to keep count of all the state parks, state scenic viewpoints, state recreation areas, etc. and quickly lost track. 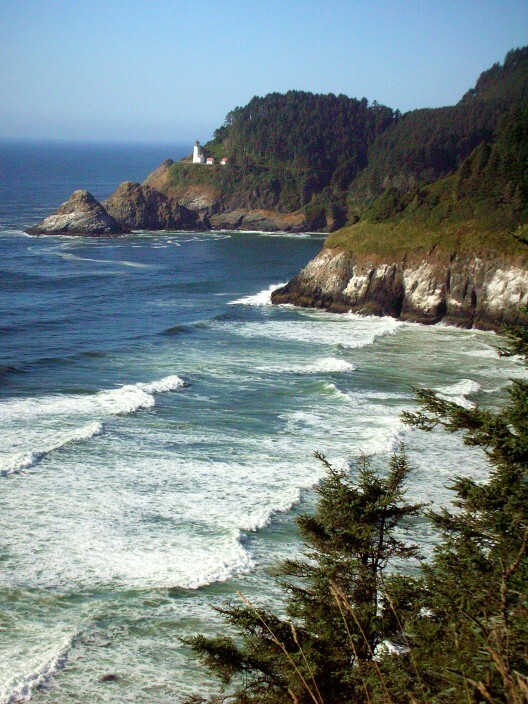 Let’s just say Oregonians love their coastline and afford you every opportunity to enjoy it at little or no cost and best of all, most of it is commercialism-free and in its pristine, natural state. We kept on driving and stopping, driving and stopping because you just can’t pass up the views around nearly every bend in the road. What you might guesstimate as a two hour drive by looking at your map can easily ballon to twice that much unless you want to drive with blinders on or you’re simply immune to natural, scenic beauty, and if that’s the case, what the heck are you doing here in the first place? 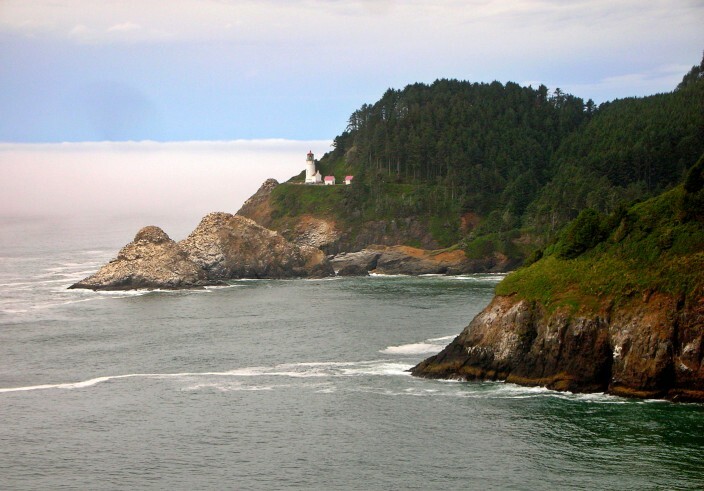 One stop you absolutely don’t want to miss is the Heceta Head Lighthouse. 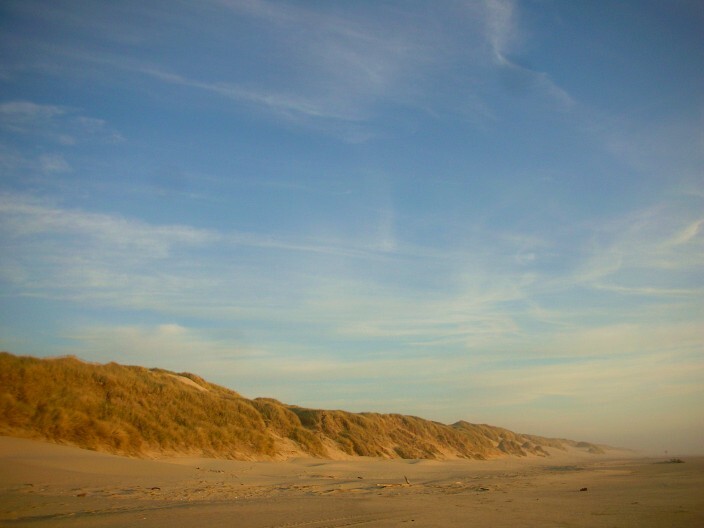 The lighthouse itself is closed for renovation until August 2013, but don’t let that keep you away. There are trails to explore, beach to enjoy and a mile or two further south some great turnouts to get the best views of the lighthouse itself, perched dramatically on its cliff and looking every bit like some sort of Norman Rockwell painting as the white waves break on the rocks below. Eventually we did arrive at our destination, the town of Florence, located almost exactly halfway down the coast between the Washington and California borders. 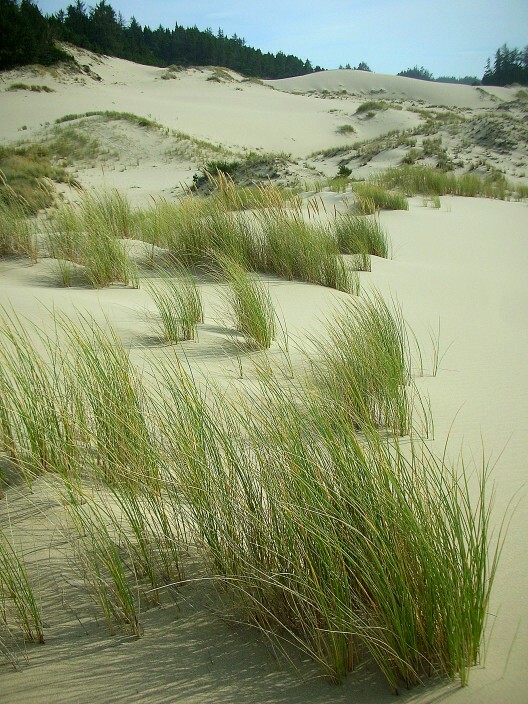 Florence serves as the gateway to the Oregon Dunes National Recreation Area, the largest expanse of coastal sand dunes in North America, stretching 40 miles from the Siuslaw River near Florence to the Coos River near North Bend. 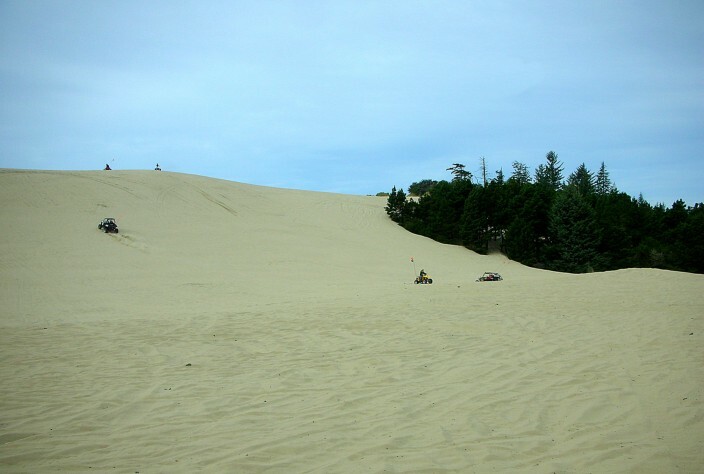 The Oregon Dunes are a mecca for dune buggy enthusiasts, hikers, dirt bikers and others. There are some areas designated for foot traffic only and if that’s what you’re after, like us, it’s a good idea to heed the signs. 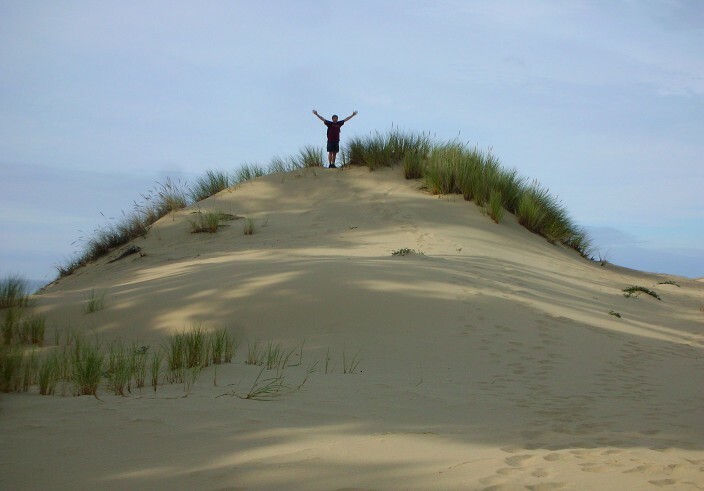 We made the mistake of venturing in on foot to one of the areas open to motorized mayhem, only because it contained the highest dunes around and we wanted to climb them. You can do that, but proceed at your own risk as buggies and bikes can come roaring at you blindly at just about any dip or bend in the sand. 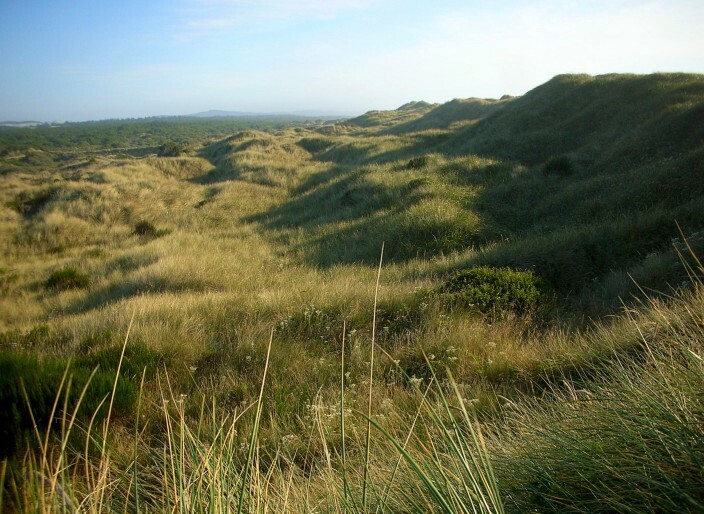 More than once we had some rather too close encounters with 2, 3 or 4 wheeled vehicles intent on blasting off and over and around the dunes and not expecting or paying attention to bipedal travelers. We stuck around for the sunset and were glad we did, being rewarded with one of the most colorful and protracted sunsets I’ve ever witnessed. Magic hour, indeed. 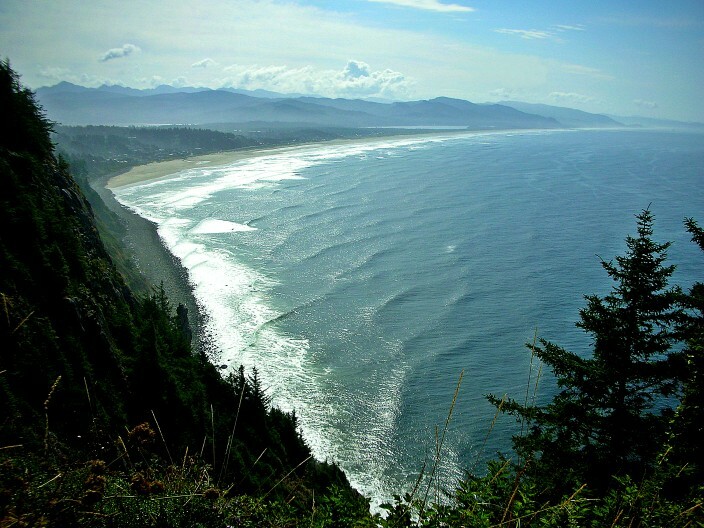 So come on out to the coast and have a blast, you won’t be sorry. And if you forget the swimsuit, no sweat. You’ll never miss it. Thanks for the comment, Fizik. 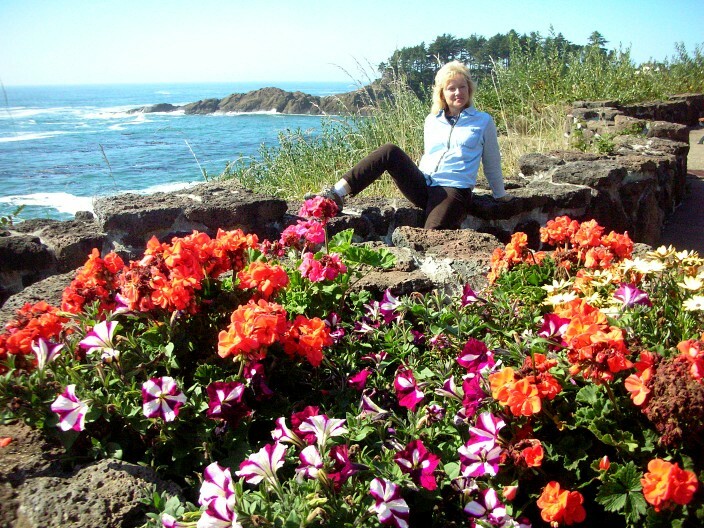 The Pacific coast is always open for visiting and a great place to see all year round – and it’s always free! Thanks Leigh. The coast is always beckoning around here but then so are the mountains. It’s a nice dilemma to have when the weather is good – do we head for the water or the hills? 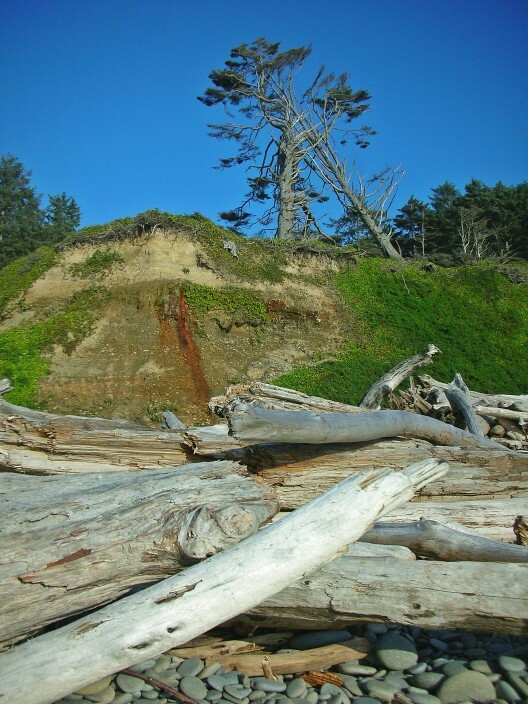 What a great photo essay on a glorious section of coast. You’ve got some first class photos in this bunch. Glad you liked it. If you’re ever on the west coast and have the time, see it all, you’ll be happy you did. 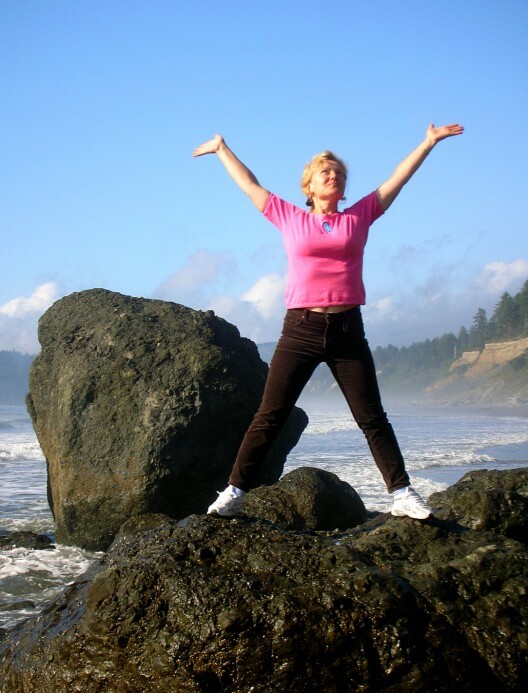 Hi Mieke, hey thanks for the comment and coming back to check out the site! Lovely pictures of familiar places. Particularly liked the one of Irena on the rocks. Very joyous and fun!